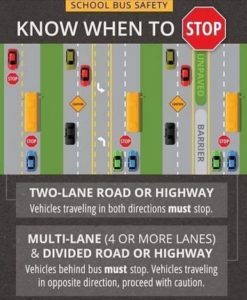 With public schools starting back, all drivers should take a minute to familiarize themselves with the laws in Illinois as they relate to stopping for School Buses. It is illegal to pass a stopped school bus in either direction while the bus’s stop sign is out and children are loading or unloading. The Illinois State Police and municipal police departments strictly enforce these laws, and if you are convicted of improperly passing a school bus, the Secretary of State will suspend your license. The law states that a driver shall stop before meeting or overtaking, from either direction, any school bus stopped on a highway, roadway, private road, parking lot, school property, or anywhere else. When the school bus displays the visual stop signal, a driver must come to a full and complete stop prior to reaching the bus and must remain stopped until one of the following occur: the school bus resumes motion, the bus driver gives a signal for the driver to proceed, or the school bus’s visual signals are no longer actuated. The law does make an exception for drivers on the highway. A driver is not required to stop on a highway having 4 or more lanes that has at least 2 lanes of traffic in each direction provided the driver is travelling in the opposite direction as the school bus. 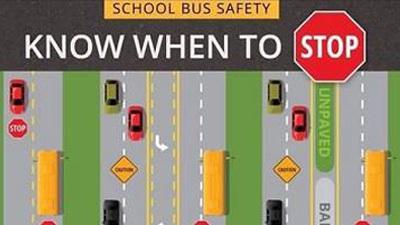 The driver will be required to stop on a highway if he is travelling in the same direction as the school bus. While passing a school bus is considered a petty offense, it does have some pretty severe consequences as it relates to a person’s driving privileges. 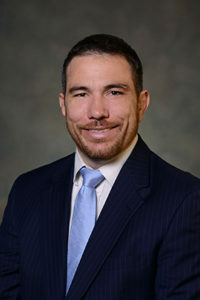 Special dispositions like court supervision, which will lead to an eventual dismissal of the charges, are not available for this offense. That means anyone who pleads guilty or is found guilty of improperly passing a school bus will receive a conviction on their driving record, a fine, increased insurance rates, and their license will be suspended. The Length of the suspension varies based on the number of prior offenses the driver has within the last 5 years. If a driver is suspended under this section, they may be eligible for a hardship permit that will allow them to travel between work and their home. This permit is not automatic and any driver wishing to receive this permit will have to present evidence to the secretary of state that the license suspension will cause them a hardship. If the driver does not meet their burden, the Secretary of State will deny the driver’s application and they will have to wait out the suspension and pay a reinstatement fee prior to driving again.